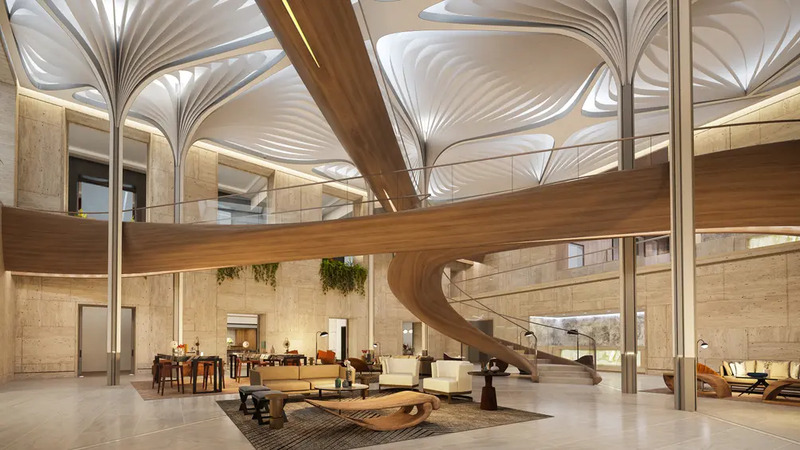 New York's residential amenity race just got even sicker, dude: Waterline Square, the five-acre mega-development on the Upper West Side, just announced they will be the first residential building to feature an indoor, multi-level half-pipe skate park. Designed by award-winning skate park firm SITE Design Group, the half-pipe skate park at Waterline Square will be nearly 42 feet long and 4 feet high. There will also be a mini ramp next to a half-pipe that measures 10 feet high. Additional features include an open seating lounge area for socializing and relaxation while watching the skaters, a sound system with DJ deck, and large screen TV with video game provisions. Skateboards and helmets will be available for use, and the space will be open year-round for all residents. Skateboarding will debut at the Summer Olympic Games in Tokyo in 2020, and maybe we'll have one of our own from Waterline Square representing. 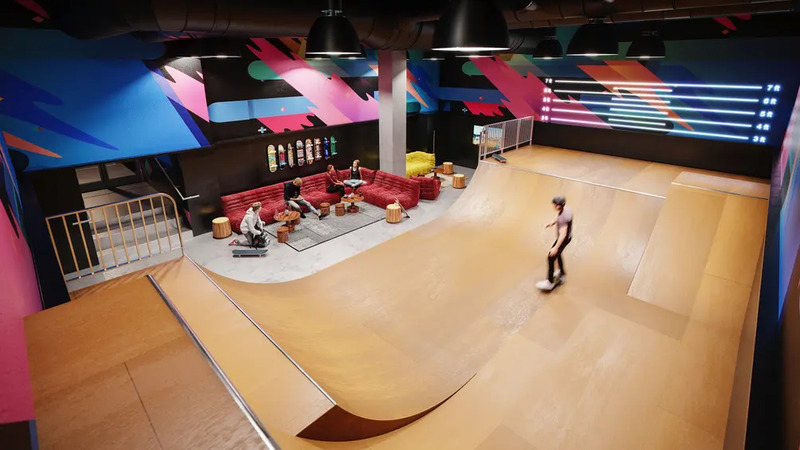 The skate park is located in The Waterline Club, the 100,000-square-foot shared amenity space designed by the Rockwell Group and packed with an unprecedented number of offerings to cater to all lifestyles and interests. In addition to the skate park, sports offerings include a full basketball court, indoor soccer field, squash court, tennis court, 30' rock climbing wall, fitness center, and lap pool. 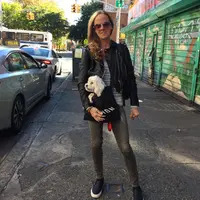 Additional amenities include, but are by no means limited to, a bowling alley, games lounge, indoor garden room, playrooms for children and dogs, and art and music studios.